Coca-Cola Enterprises has recruited Lexis for European work to highlight its efforts to go green. Lexis beat three other agencies to oversee a new CSR-focused corporate brief to help the bottling brand drive its ‘sustainability story’. The company has pledged to work towards being a zero-waste business as part of a recent sustainability rethink. Rosalie Hunt was appointed to the newly created role of director of external relations with a specific focus on the issue last year. 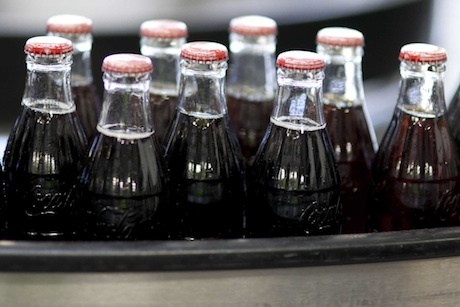 Coca-Cola Enterprises manufactures, markets and distributes Coca-Cola products in Belgium, Great Britain, France, Luxembourg, Monaco, The Netherlands, Norway and Sweden. It employs 13,000 people in Western Europe. The bottling business, which is separate from The Coca-Cola Company, was this year awarded the new Carbon Trust Water Standard, an international recognition for water reduction. This followed the 2011 launch of its Sustainability Plan, which set out a low-carbon vision for the company. Lexis will be charged with joining up online and offline messaging on the subject, as well as developing ideas on a cross-European basis. Hunt, who will be working with Lexis COO and brief lead Lynda Reddington, said the focus was on aligning digital so that ‘stakeholders would be engaged in the same way they are with face-to-face media’. Lexis’ appointment comes after a brief from The Coca-Cola Company to help promote work alongside WWF in Arctic conservation projects. PRWeek understands key stakeholders including NGOs, CSR thought leaders and retail customers will be targeted. It will concentrate on Europe-wide media brands such as the Financial Times and the Wall Street Journal Europe. It is understood the work will not affect existing agency relationships.